Unitarian Universalists covenant to affirm and promote seven principles. The first of those principles is, "the inherent worth and dignity of every person." It behooves us, and any allies also concerned to promote worth and dignity, to look carefully into the questions: What factors most contribute to a populace's sense of itself as having lives of worth, value, dignity, well-being? Worth and dignity are inherent, yet are not always manifest, promoted, or fully enjoyed as the blessing they are. What factors most undermine the possibilities for a life in which worth and dignity are manifest and celebrated? There is much we don't know about how our societies can best engender lives that manifest their inherent worth and dignity. In the last decade, though, we've learned a few things. We have begun to understand that the true wealth of a people, the real measure their well-being, is not very well captured by their nation's Gross Domestic Product; and we have begun to refine better measures. Adrian White of Britain’s University of Leicester tackled the question of comparing well-being, overall satisfaction with life, in 178 countries. Health, low poverty, access to basic education, and being a citizen of a small country are the most significant factors that correlated with high satisfaction with life. Numbers two, three, and four: Switzerland, Austria, and Iceland – all of them small countries. They have low crime rates, good infrastructure, good education – good welfare states that provide quality government-run healthcare, provide job training and job placement so unemployment are poverty are low. In these countries, public education is well-funded, and high percentages of people have college degrees. There is extensive and efficient public transportation systems (compare that to the US where studies show that for us, two of the three least happy times of the day are the commute to work and the commute back home). These countries also have beautiful picturesque scenery; gender equality and societies of open acceptance of gays, lesbians, bisexuals, and transgenders; democratic governments and engaged citizenries. Something else all of the four happiest countries in the world have: a lot of snow. If snow is what makes people happy, we Floridians are in the wrong place. Coming in at number 5 in well-being and satisfaction with life: the Bahamas! All right! There are indeed different paths to life satisfaction. The Bahamas have relatively high poverty, but strong family values, beautiful weather, a laid-back lifestyle – and those popular alcoholic drinks called Bahama Mamas – combine to make for a life very different from Denmark, but also very satisfying. Then, for numbers 6 and 7, we're back to the snow: Finland and Sweden. Numbers 8 through 12: Bhutan, Brunei, Canada, Ireland, and Luxembourg. All of the top 12 are fairly low-population countries. High population nations have a harder time of it. African countries did the worst. Zimbabwe, with an AIDS rate of 25%, an average life expectancy of 39, and an 80% poverty rate, you’d expect not to have high well-being. It was next-to-last. Burundi was last, racked by conflict between the Hutus and Tutsis (BusinessWeek Europe, 2006 October 11). One, they ask subjects to reflect on their overall satisfaction with their current lives and also with their anticipated future lives, on a scale from 0, worst possible life, to 10, best possible life. Two, they asked a series of questions about how each subject had felt the previous day: did they feel well-rested, respected, free of pain, intellectually engaged, et cetera. They combined the measures for an overall score (Forbes, 2010 July 14). The different studies, with slightly different methodologies produce some shuffling around of the order. The most constant finding of the various studies is that Denmark, over and over, appears as number 1. The latest Gallup World Poll, released last July (2010), found the five happiest countries to be: Denmark, Finland, Norway…and tied for fourth place, Sweden and the Netherlands. The United States is now up to 14. The top five countries are generally wealthy – but they aren’t the wealthiest. By GDP, the top five countries in well-being rank only 19th, 21st, 5th, 16th, and 12th in GDP per person. The happiest countries have their basic needs taken care of to a higher degree than other countries. And again we see that different strategies for national happiness can work. Some relatively poor nations score high in well-being. In this latest Gallup World Poll, Costa Rica and New Zealand are tied for 6th happiest, even though New Zealand is 37th in GDP per capita, and Costa Rica is 76th. Some wealthy countries are less satisfied with life than some poorer ones. Poor countries that sustain high well-being tend to do it with factors like “solidarity among tight-knit communities, religious conviction, and patriotism” (BusinessWeek Europe, 2008 August 20). Cultural factors play out in other ways that aren’t clear. For instance, the French are down at 44th. Is that because French culture cultivates dissatisfaction? It don’t know. It is the country, after all, that invented ennui. Still, I think we have to say that you can be wrong about a lot of things, but by-and-large, the role of self-delusion on this is fairly small. For the most part, if you think you’re satisfied with your life, then you are. A culture that encourages thinking of yourself as satisfied is a culture that helps you be satisfied. Danish culture encourages an attitude summed up in their word hygge (hooga). The newest Gallup World Poll has Russia in 73rd, Japan at 81st, with India and China at 115th and 125th. 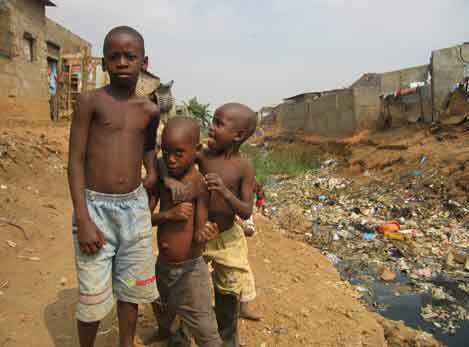 The deeply impoverished nations of Africa retain their position as least happy places on the planet. First, the fact that much of Africa is in misery warrants our attention. Straightforward old-fashioned economics tells us some of that story. The per capita GDP per year in the United States is $48,000. As you go down the list of nations ranked by per capita GDP, you get half-way down the list and there’s Jamaica at $7,700 a year – less than one-sixth, per person, of the US, yet still more than half the countries in the world. You get three-fourths of the way down the list and there’s Micronesia at $2,200 per person per year. Nations at the very bottom of the list are all African. In Burundi, Congo, Zimbabwe, the Gross Domestic Products, respectively, are $400 per person per year, $300 per person per year, and $200 per person year. How do they live? Not well – and not long: life expectancy in Zimbabwe is the world’s lowest at 37 years for men, 34 years for women (Bob Herbert, "Zimbabwe is Dying," New York Times, 2009 Jan 16). What does the worth and dignity of a person require? They have worth and dignity – that is inherent and that is the conviction of our faith. What is required to affirm and promote that worth and dignity? People require basic medical care and nutrition; a house. People who are largely free of disease (and we have the capability to get disease way down from where it is) and reasonably healthy, have a chance to be thriving. "Thriving" is the word that researchers use. On that 0 to 10 scale, individuals who rate their current lives as a “7” or higher and their future an “8” or higher are counted as “thriving.” In Denmark, 82 percent of the population is thriving. Here in the US, 57 percent are thriving. There are 13 African countries where the percent of people thriving is 1 to 5 percent. If we believe in promoting worth and dignity, we must believe in the need to address conditions of such deep and wide despair. Disease will come to us all if we survive accidents long enough, but let us cure what we can -- and then look to what else a reasonably healthy person needs to thrive. This is what it takes to affirm and promote the inherent worth and dignity of every person. I am not talking about charity, about simply sending more and more crates of food and medicine. I am not talking about us giving them what they need. I take my cue here from the Industrial Areas Foundation, a network of community organizations started by Saul Alinksy in Chicago in the 30s, 40s, and 50s. Alinsky’s principles also led to the organization PICO – People Improving Communities through Organizing, of which Gainesville’s Action Network is a member. When these groups give training in Community Organizing, they teach a principle they call the “iron rule”: never do for others what they can do for themselves. It’s a complement to the golden rule. Together the golden and iron rules offer guidance on how to affirm and promote the inherent worth and dignity of every person. Do unto others as you would have them do unto you. And: Never do for others what they can do for themselves. Violation of either rule is failure to respect the other, failure to stand with them as equals, failure to respond with compassion to real needs while also honoring what abilities they do have, failure to affirm and promote the worth and dignity that inheres to them. So I am not talking about more charity, though sometimes that is called for. Rather than us giving to them, I mean participating with them to explore ways to set up a system so that everyone can have the opportunity to provide for themselves. Systems of exploitation from outside and tribal conflicts inside Africa call for our attention to lift them from misery. At the same time, for the rest of the world and ourselves, thriving calls for more than mere subsistence. Subsistence is stressful. To affirm and promote inherent worth and dignity everywhere we must go beyond mere economics. Gross domestic product and gross national product, as we have seen, have a role but not always the main or decisive role in human thriving. We need another measure. We need to look less at gross national product and more at gross nation happiness. We need to look at measures of human well-being that also take into account the planet’s well-being. And that means we do have to do value measurements. The new field of ecological economics, for example, seeks to give nature credit for all the value she produces for us. Natural resources have always counted as part of an economic picture, but traditional economics has not noticed such things as the value of the nutrient cycling performed for us by oceans and estuaries. In standard economics, a tree is a tree, and it has a certain value for timber. In ecological economics, if the tree is surplus to what is needed for ecosystem sustainability, if systems of replanting and replacement are adequate, fine, but if harvesting it isn’t sustainable then the damage the ecosystem must be subtracted from the value of the timber. Every species genome represents a measurable instructional capital, and if cutting down the tree is a part of habitat destruction that leads to species extinction, the value of that capital must also be subtracted. I know that, really, a tree is priceless – and a species is beyond measure. If you say to me, Meredith, you can’t put a number on the beauty of nature or the wholeness that comes from communing with a natural setting, then I’m going to say you’re right. That nature not be commodified – turned into one more commodity – requires our vigilance. At the same time, there are people who need houses. The homeless, the squatters, the refugees and the shantytown residents across this weary globe need real houses, and a little furniture and fuel to cook with and potable water to drink. They have inherent worth and dignity – and we fail in our covenant to affirm and promote their worth and dignity if we aren’t willing to look at how their basic human needs can be met. And that means we have to make determinations of when it’s worth it to chop down some trees and when it isn’t. We love our seventh principle: respect for the interconnected web of existence. Our calling is to combine that respect, that love of nature, with the affirmation of every one’s worth and dignity. We need ways that traditional economics doesn’t account for to give a quantitative measurement to what, yes, is priceless, yet must be balanced against something else that’s priceless: human thriving. The field of ecological economics is doing that. It’s a new field, and it’s still feeling its way, but its promising. That’s just one part of new calculations to much more accurately assess our true well-being. So go back to that first list of nations with high well-being. Adrian White’s study had Bhutan at number 8 in the well-being of the population. Bhutan? 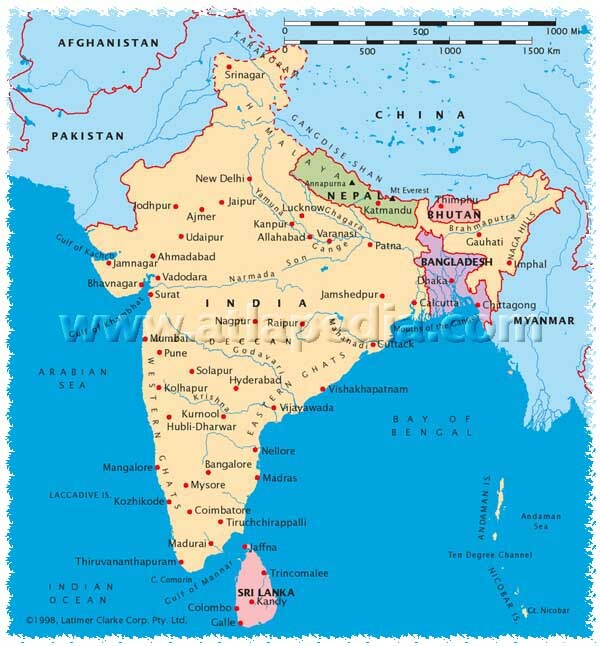 It’s between India and Tibet, east of Nepal and north of Bangladesh. Bhutan's area is about half the size of Indiana, and its 2.3 million population is less than half of Indiana’s. 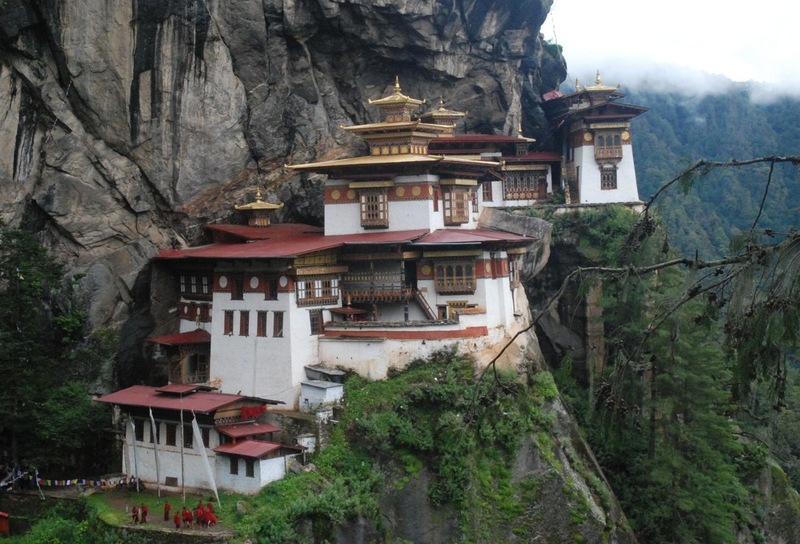 Bhutan’s GDP per capita, in US dollars, is $1,400. The average GDP of the other 11 countries in Adrian White's top 12: over $33,600 per person per year. $33,600 per capita vs. $1,400 GDP per capita. What’s happening here? In 1972, King Singye Wanchuk succeeded to the throne upon the death of his father. Singye was only 17. He set a course toward modernizing his little country, where many people still lived as they had for 100s of years. He happened to make an offhand remark that his people needed Gross National Happiness more than Gross National Product – and the concept stuck. Advisors and academics set to work to develop instruments to measure the population’s well-being. Soon thereafter, and ever since, proposed policies in Bhutan must be accompanied by a GNH impact statement indicating how the policy will affect Gross National Happiness. Policies are approved only if the GNH impact is shown to be positive. Health: physical, mental and spiritual. Time-balance: family, work, leisure and spiritual practice. Ecological vitality – as traditional economics would measure them, is a factor, but only one of the eight. "Good governance" meant democratizing. The people loved their king. In this country where the predominant religion is one of the schools of Tibetan Buddhism, the king is a both secular ruler and national pastor. They didn’t want to vote. They didn’t want a contentious parliament haggling with their king. The king insisted. It took a while. Bhutan finally had its first ever national elections to choose members of its legislature in 2008. Democracy is a key part of national happiness. We see that in the nation’s that score highest in well-being: they’re democracies. Indeed, research finds significant variation in happiness from canton to canton within Switzerland. The more direct democracy (initiatives, referenda, citizen assemblies) in a given canton, the happier the people. Moreover, these positive effects show up in the citizens in those cantons – the ones eligible to participate in direct democracy – and not in foreign residents. King Wanchuk and his team continued to develop the concept of GNH. They devised 72 key indicators for measuring progress and evaluating policies. And the country is making solid progress in all areas. From Bhutan, the idea has spread, and the work they did there has served as the foundation for the Global Surveys of National Happiness I cited earlier. We humans are gradually figuring this thing out. We are learning better and better how to honor the fact that every one has inherent worth and dignity. We haven’t yet figured out how to craft a system in which everyone has an opportunity to thrive, but we’re starting to figure out how to measure how we’re really doing, and that’s a crucial step. For other sermons on this blog see: Sermon Index.